Boston, MA – Kyruus, a leader in provider search and scheduling solutions for health systems, today announced that Providence St. Joseph Health (PSJH), one of the largest health systems in the United States, has expanded its use of the Kyruus ProviderMatch™ suite of patient access solutions and KyruusOne™ provider data management platform. 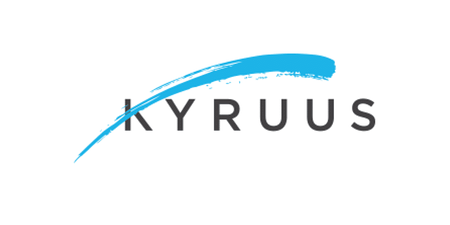 The health system has broadened its relationship with Kyruus multiple times since first engaging the company almost five years ago and currently manages more than 20,000 providers on the Kyruus platform. The latest expansion focuses on integrating and enhancing patient access to providers from St. Joseph Health, part of the Providence St. Joseph family of organizations. PSJH engaged Kyruus in 2014 to build a comprehensive provider directory to optimize access to providers through its Patient & Provider Engagement Center – a concierge call center it had recently formed. With the KyruusOne platform, PSJH was able to aggregate accurate, up-to-date information about its employed and affiliate providers, including their respective clinical areas of focus. PSJH then deployed ProviderMatch for Access Centers to make this information easily searchable for Patient & Provider Engagement Center staff, driving efficiency and more than doubling call conversion. After expanding its provider directory enterprise-wide, PSJH leveraged the ProviderMatch API to offer a similar, powerful search experience to consumers on its regional websites – fostering consistency across offline and online points of access. PSJH has achieved an almost 90% provider profile completion rate to-date – indicating the share of profiles in the directory with key components captured, such as clinical expertise, location, photo, and accepting new patients status. With this latest expansion, PSJH will bring St. Joseph Health providers into the directory and utilize the ProviderMatch API to power the consumer search experience on St. Joseph Health’s website. PSJH has also deployed the Kyruus access center solution in its Patient Engagement Center in Los Angeles. These are key steps in PSJH’s operationalization of its integrated access strategy as it seeks to unify its brand and optimize capacity utilization across the seven-state system. Providence St. Joseph Health is a national, not-for-profit Catholic health system comprising a diverse family of organizations and driven by a belief that health is a human right. With 51 hospitals, 829 physician clinics, senior services, supportive housing and many other health and educational services, the health system and its partners employ more than 119,000 caregivers serving communities across seven states – Alaska, California, Montana, New Mexico, Oregon, Texas and Washington, with system offices based in Renton, Wash., and Irvine, Calif.
Kyruus delivers industry-defining provider search and scheduling solutions that help health systems match patients with the right providers across their enterprise-wide access points. Serving more than 225,000 providers across leading health systems nationwide, the ProviderMatch suite of solutions—for consumers, access centers, and referral networks—enables a modern and consistent patient experience, while optimizing provider utilization. The company’s award-winning provider data management platform powers each of the ProviderMatch solutions and transforms how health systems understand and manage their provider networks. To find out why a Better Match Means Better Care, visit www.kyruus.com.